We’ve noted for years that national security laws are being used to stifle dissent … more than to protect us from bad guys. While Hoover’s FBI had its “enemies list”, and carried out numerous dirty tricks including Cointelpro, the current governmental actions are a lot worse. For example, we’ve noted that anyone who questions government actions or policies may be labeled a potential terrorist. And we’ve also documented that spying is used to crack down on political protest. The problem is, if they think they’re not doing anything that’s wrong, they don’t get to define that. The central government does. Binney also confirms that the pervasiveness of spying under Obama has only “gotten worse”. If you ever get on their enemies list, like Petraeus did, then you can be drawn into that surveillance. And see this, this, this and this. Postscript: This is not some post-9/11 reality. 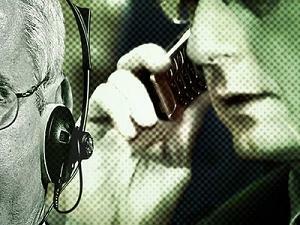 Spying on Americans – and most of the other attacks on liberty – started BEFORE 9/11.